The Cyprus Mail has reported the arrest of two men in Limassol, Cyprus, following the theft of a Degas work. Ballerina Adjusting Her Slipper (1870), the work in question, is worth £4.5 million and is owned by a 70 year old resident of Limassol. It was stolen on Monday during a meeting with the lawyers of a Russian man that took place under the auspices of finalizing the sale of another piece in the collector's holdings. The man had visited the owner of the painting's house 2 weeks prior to the event where he reportedly photographed the Degas piece, which was not for sale. A safe which contained seven gold watches and three gold opera glasses as well as other valuable items was also stolen. The contents of the safe had an estimated worth of £123,000. 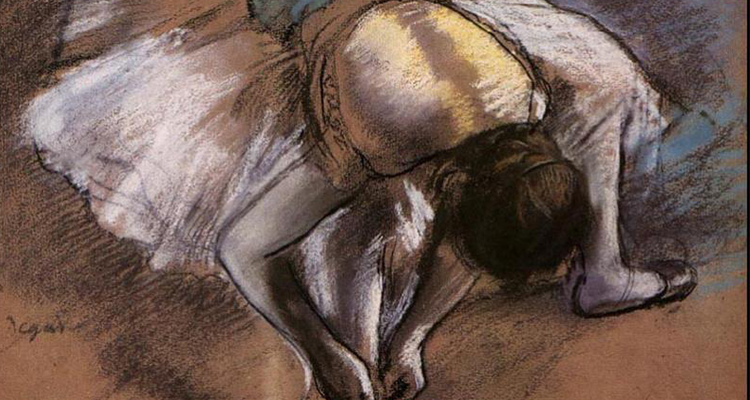 The Degas piece is most likely to be one of the most expensive paintings ever stolen in Cyprus. Unfortunately the piece was not insured. The Russian man remains unfound and police are on the hunt for a fourth suspect from South Africa.